As the year is coming to an end, I can’t help but look back on what an amazing year 2016 was!! I mean, really, I started the year with the goal of wanting to save money for the purpose of traveling more, and boy did that goal get accomplished; heck, I even started a blog! 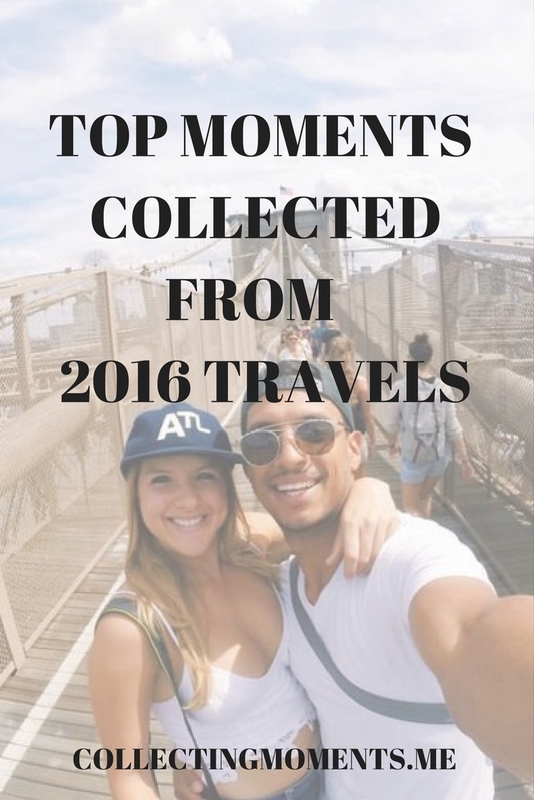 So I thought I would do a little recap of my travel memories collected and keep that wanderlust going for the New Year! What can I say? I should’ve known it was going to be a good year if it started on a tropical island, hehe.. But seriously, I was lucky enough to start the year (second week of January to be more precise) on a last minute trip to Maui with Guille. Hawaii exceeded my expectations with its beauty! We got to snorkel, eat, drink and truly relax and enjoy ourselves in the cool resort area of Kaanapali on West Maui the first few days, and then rented a Jeep Wrangler and drove around the Island through the popular Road to Hana Highway. It was peaceful, wild, and liberating at all the same time. Read more: Mahalo for you beauty Maui, I’m in love and 10 Absolute must Stops on the road to Hana. This was one of the best trips of the year for me A N D it was a low-budget, last minute, road-trip to the desert! There are many reasons why this was one of my favorite memories from this year (i.e – only trip Papi came along + I was completely disconnected from technology for three days!) but mainly because it was my first time camping ever!! I couldn’t have wished for better company (yes, Guille and Papi) or better place to go camping. 3. santa barbara, ca + summer in L.a. This year, we truly enjoyed the summer in this beautiful City of Angels and everything it had to offer! First off, my parents visited at the beginning of the warmer months and we took a fun day-trip to Santa Barbara; it was a very fun experience to spend some quality time with my folks + get a little trip out of it! Then, my sister and her boyfriend also visited, and we played tourists sightseeing the popular places around town. Lastly, we attended cool summer events like concerts by the beach and movie nights at the cemetery. It was a very productive and cool summer! This trip was very special because it was Guille’s first time in NYC! We got to spend five amazing days in the city, walking everywhere and eating! We stayed for free at my cousin’s apartment in SoHo (Thanks Sebas! ), reunited with old friends, and fell in love with the idea of possibly moving there one day. Our London trip was the most fun out of the three cities we visited in Europe for me (and I loved all of them), which was unexpectedly amazing (considering Paris is my favorite city in the world and let’s not even mention my love for Italy!) I knew every single city would be a great time, but for some reason, London was the only city I didn’t really plan much, and it turned out to be so refreshing and thus enjoyable. We got to spend some time with family, enjoyed great shopping and weather (um hello sunny London 99% of our time there!) and overall London grew on me in a very unique way. Pizza, Pasta, Vino, that’s amore. In Firenze I reunited with my favorite travel buddy, Marce, whilst she was studying abroad for the semester. It was our first time in Florence, and we loved it. We liked the size, the people and overall getting to explore it with friends. Paris is A L W A Y S a good idea. I got to experience the most (or at least one of the most) romantic cities in the world with my boyfriend!! What else can I say? Paris was everything I had hoped and more. We strolled along the streets accompanied by my incredible Parisian aunt Adriana. We attended a FIFA world cup qualifying game of France vs. Bulgaria, and drank wine and ate wonderfully at a wine festival at the steps of Sacre Coeur in Montmartre. Paris, Je t’aime.